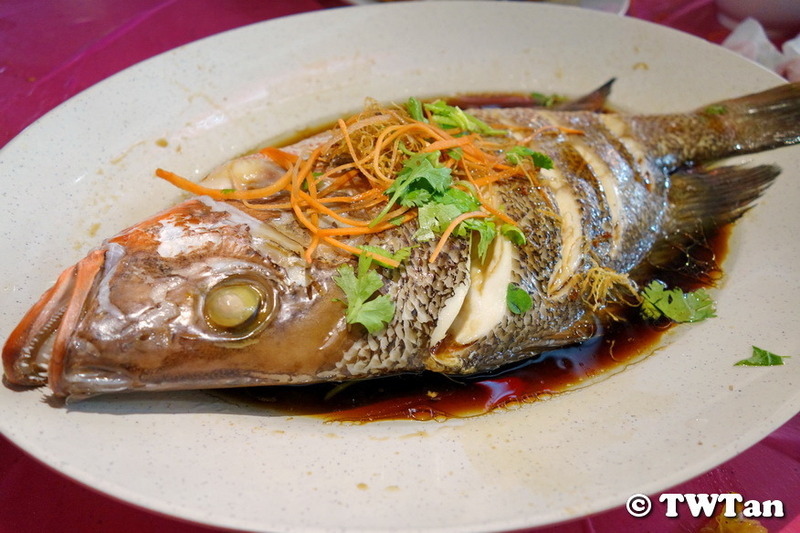 Hong Kong Style Steamed Red Snapper Fish (港式蒸红鲷鱼) was unfortunately not served straight from the steamer to the table so it had a bit of fishy taste to it. 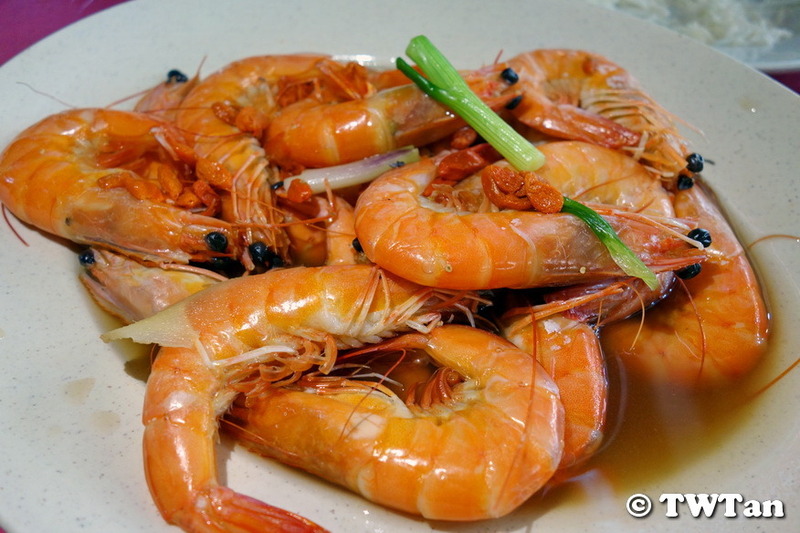 Dang Gui Hua Diao Wine Prawns (当归酒白灼海虾) fared much better and the prawns were fresh and succulent. 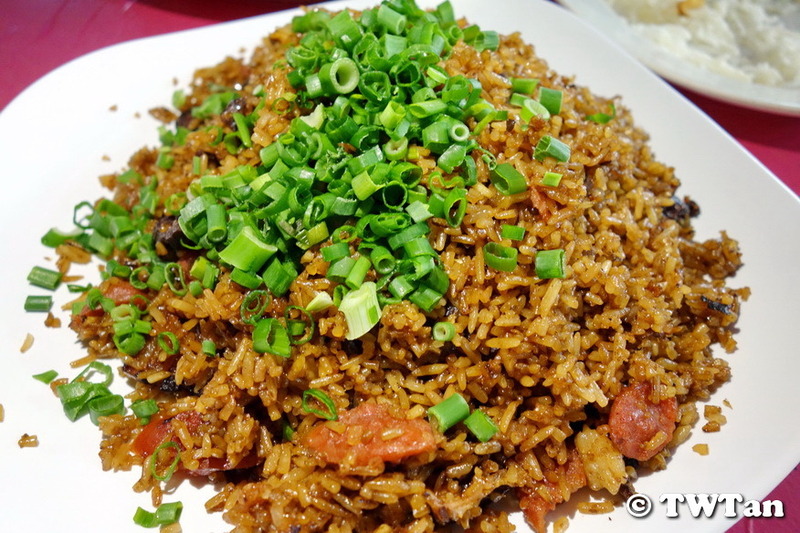 They could have at least served this Superior Chinese Sausage Fried Rice (腊味蛋炒饭) at the start of the dinner so we can eat it with the other dishes. 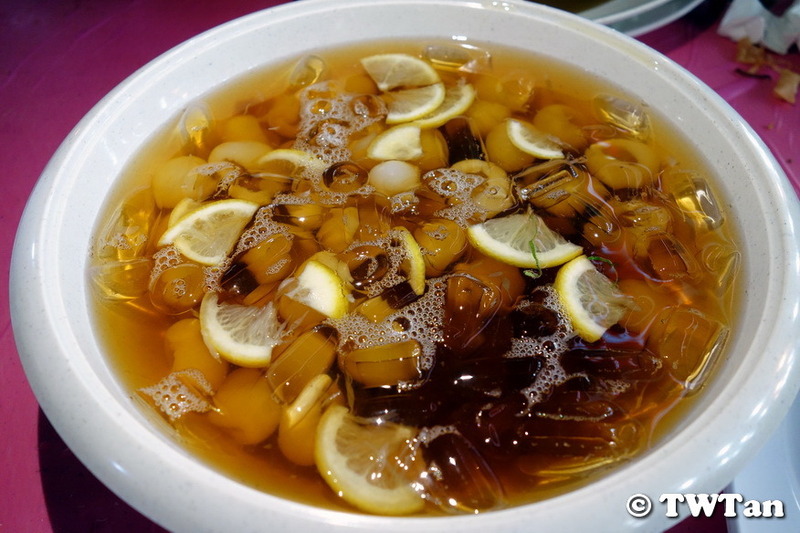 To end the dinner, we had the refreshing Lemon Longan Sea Cocconut (香柠龙眼海底椰) which was given a citrusy twist. 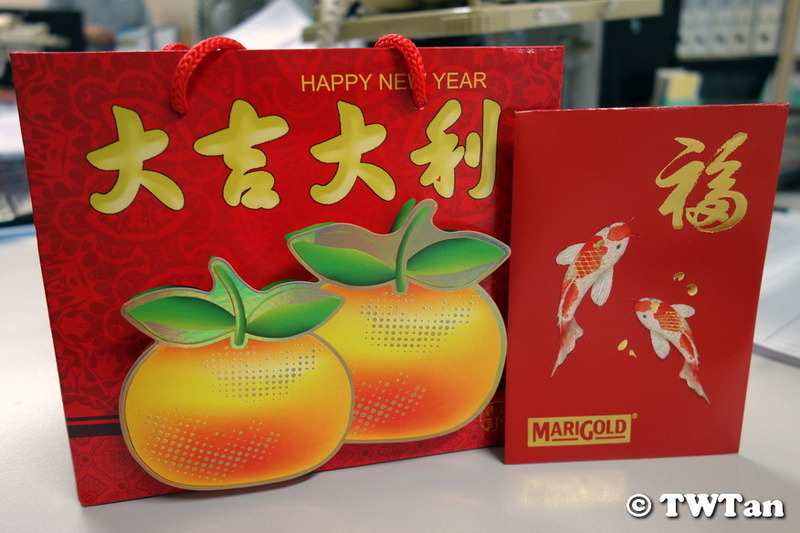 The lunch menu also included either a Chicken Cutlet or Breaded Fish Fillet with fried rice, mushroom soup, free flow drinks and a goodies bag with two mandarin oranges and a 4D ticket. 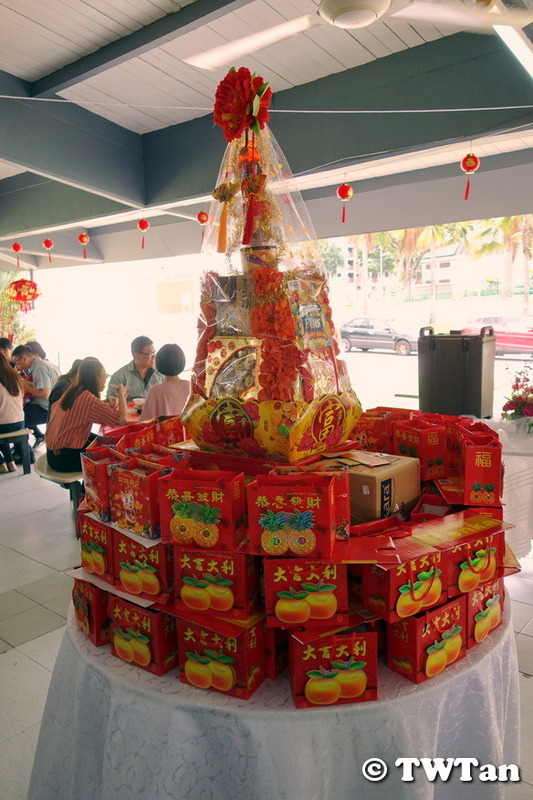 A gift hamper sponsored by the canteen’s boss is the grand prize in the lucky draw. 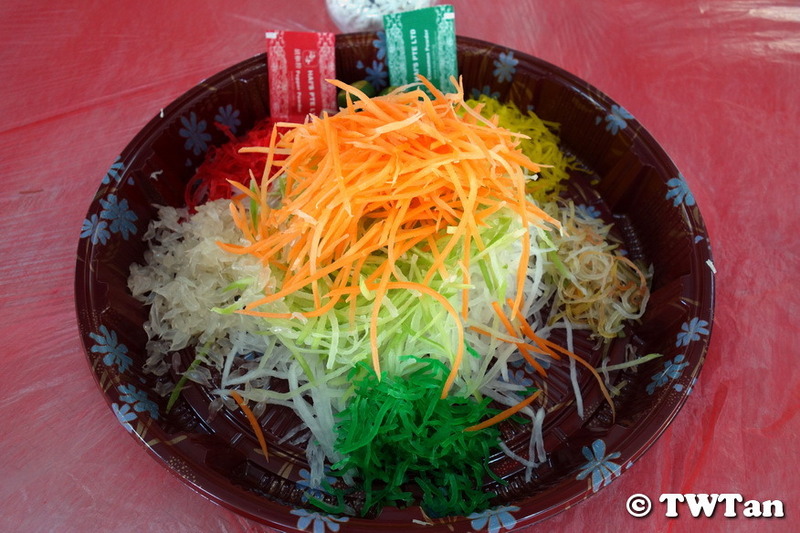 PS: Someone actually won the first prize in the 4D draw according to the canteen staff. 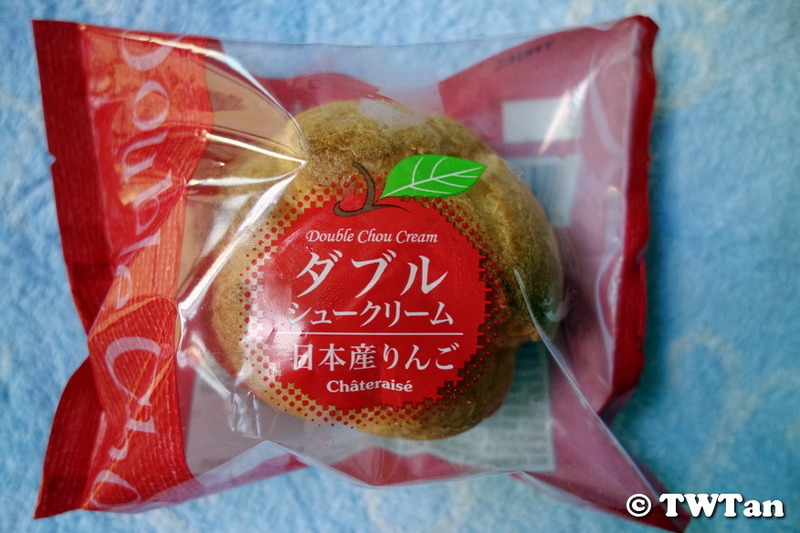 Châteraisé currently have a new Japanese Apple flavour cream puff. 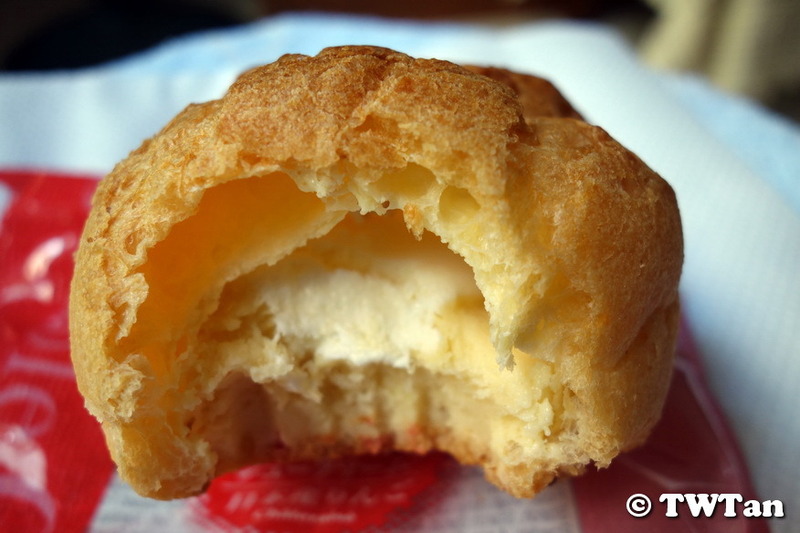 Pardon the condensation on the wrappers as I like to freeze them so they kind of turned into ice cream puffs. It has a nice fruity fragrant but the apple flavour is rather muted and not pronounce. Would have been better if apple more puree is added but at just S$1.90 for the Double Fantasy Cream Puff, I might be asking for too much. The other flavours I bought are Coffee and Matcha though they also sell Original, Chocolate and Mango too. 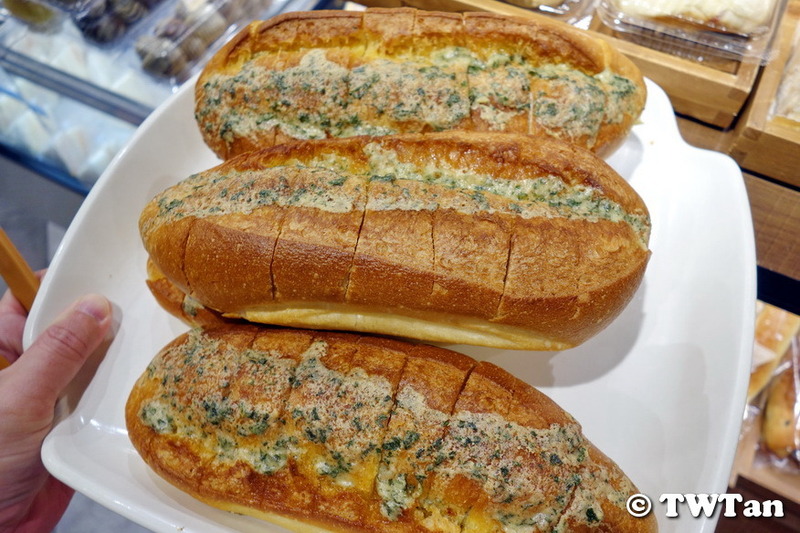 Love these yam paste buns from BreadTalk which they named Only U. 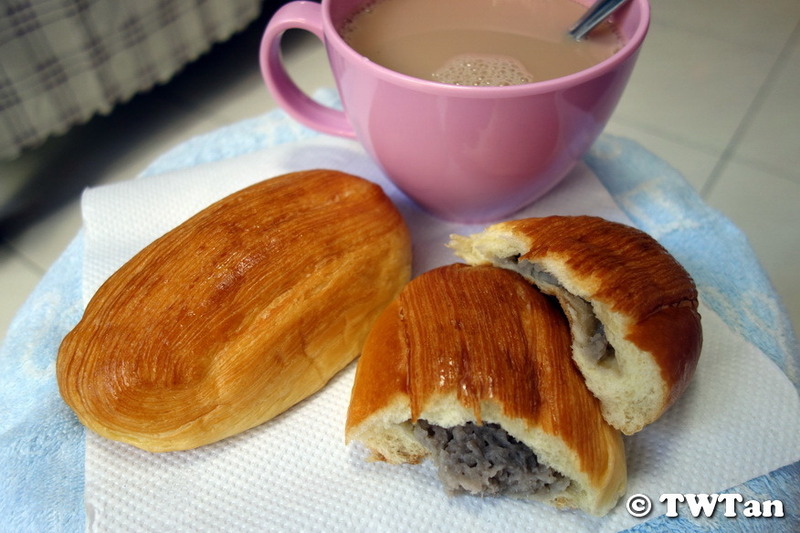 The buns are lightly glazed to give it that sheen and the inside filled with velvety smooth fragrant yam paste. The just-right sweetness goes well with hot beverages. 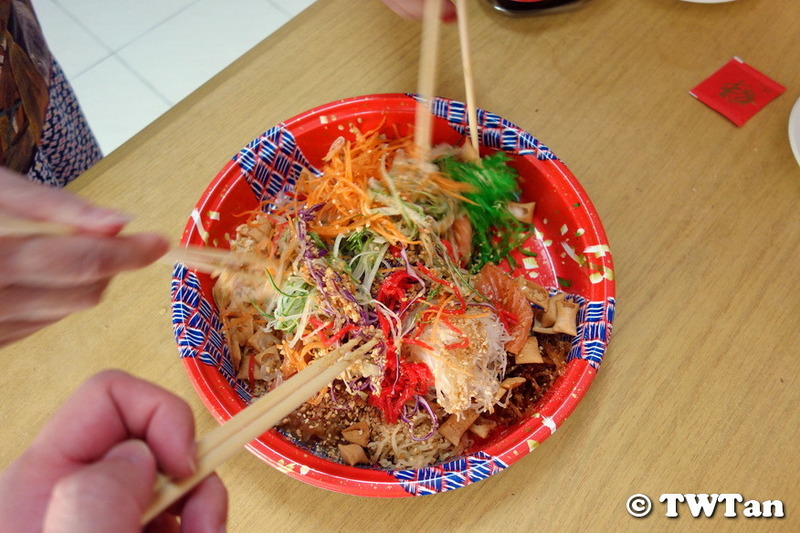 Sis bought the Rong Yu Sheng (荣鱼生) from Sakae Sushi. 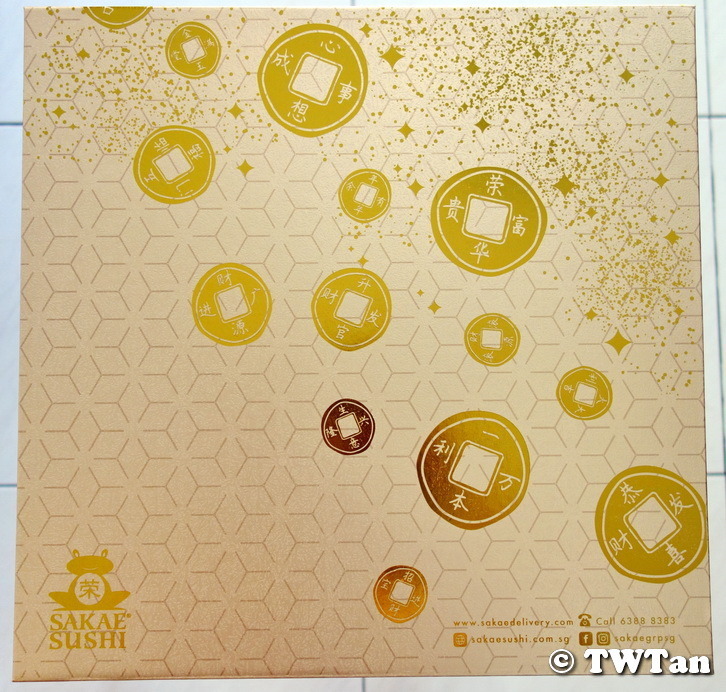 It came in a pretty gold box and instructions on How to Huat (发大财). 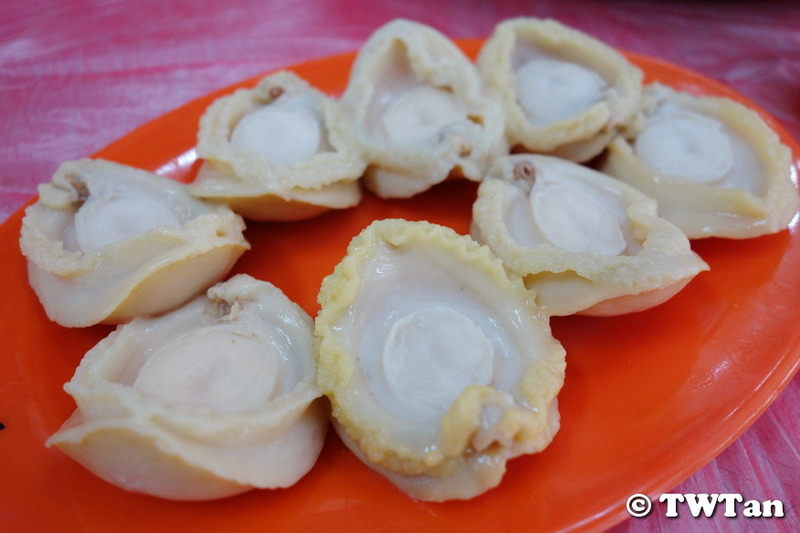 I have my fix with Swee Heng yam paste buns. 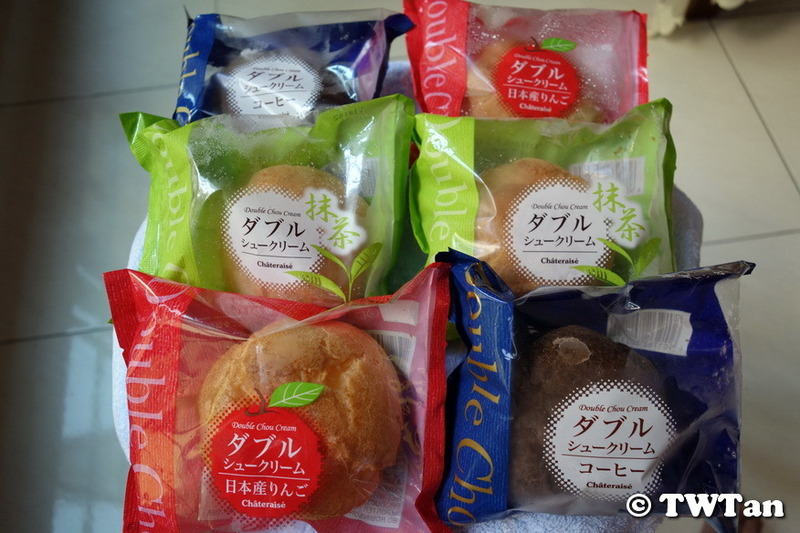 I buy the pack of 4 buns. Love it as not too sweet and paste is also smooth. 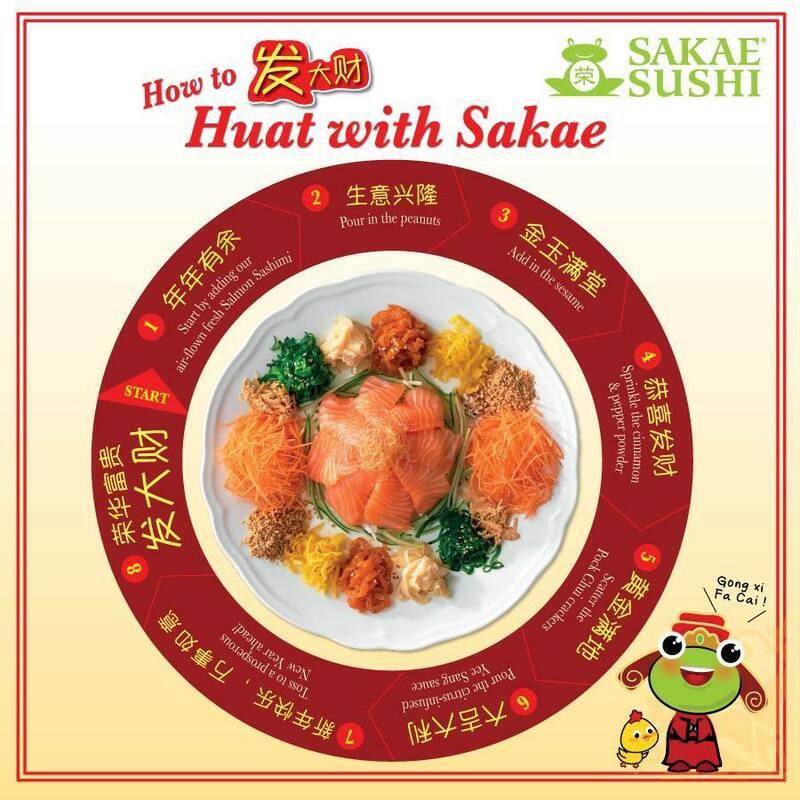 Think Swee Heng at NorthPoint City don't have this as they sell individual item but the one at AMK Hub inside NTUC have it. Pig over muddy water. 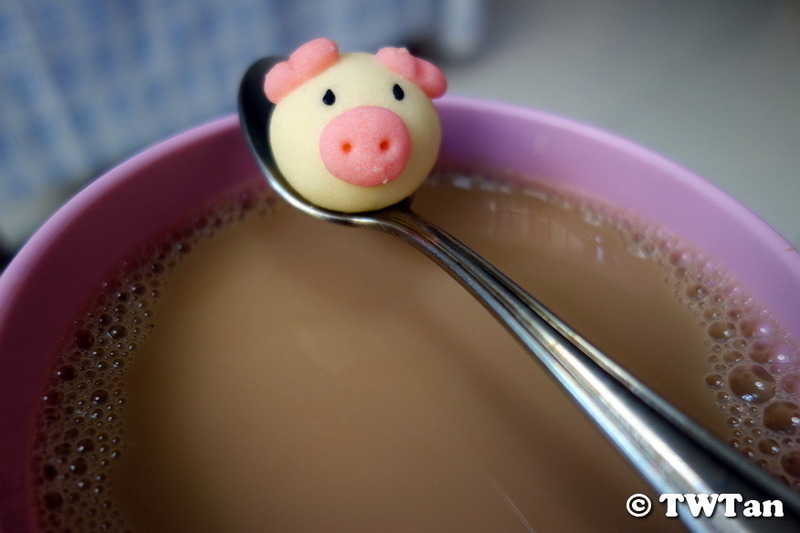 Well, not quite, the “muddy water” is actually my milk tea and the butter pig cookie, my breakfast. 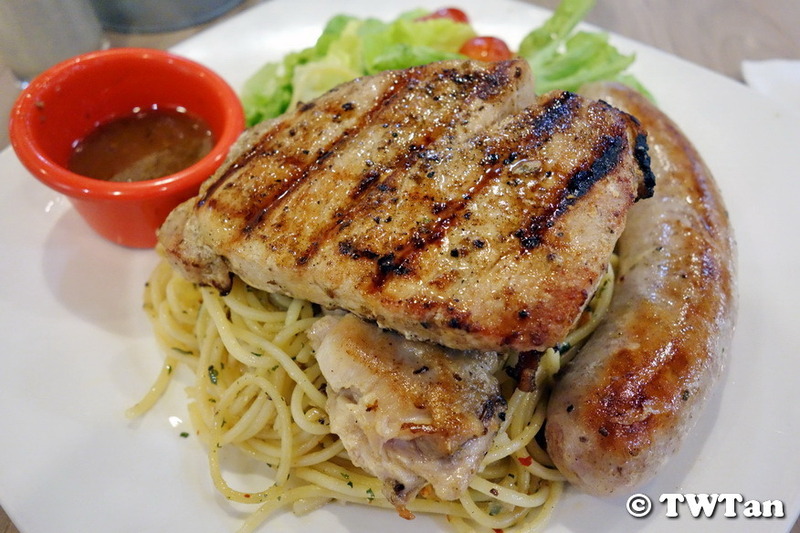 Back to Hot Tomato for their affordable Mixed Grill (S$14.50) which comes with a piece of thickly cut pork chop, crispy skin chicken chop and a big fat sausage. It is complemented with their signature sides of spaghetti aglio olio, crispy romance lettuce, cherry tomatoes and homemade black pepper sauce. 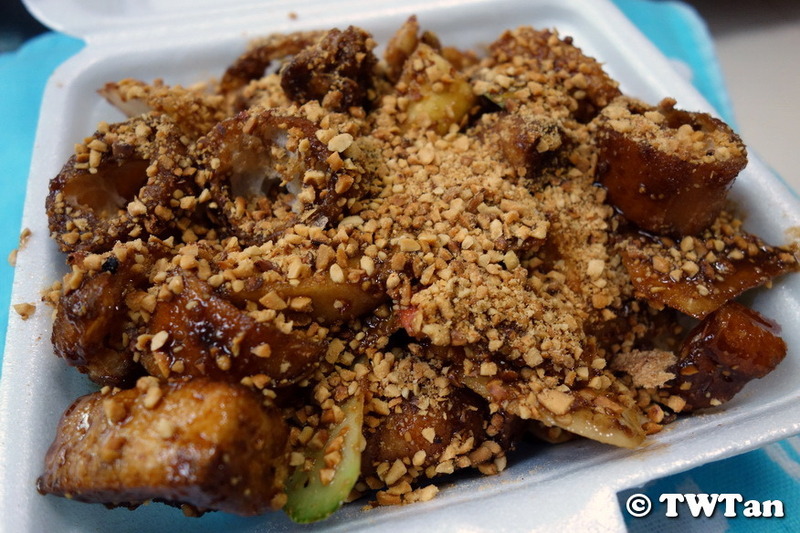 A variation of the traditional rojak is this Fruit Rojak which uses both green and red apples, pineapple, guava and green mango in addition to cucumber slices. 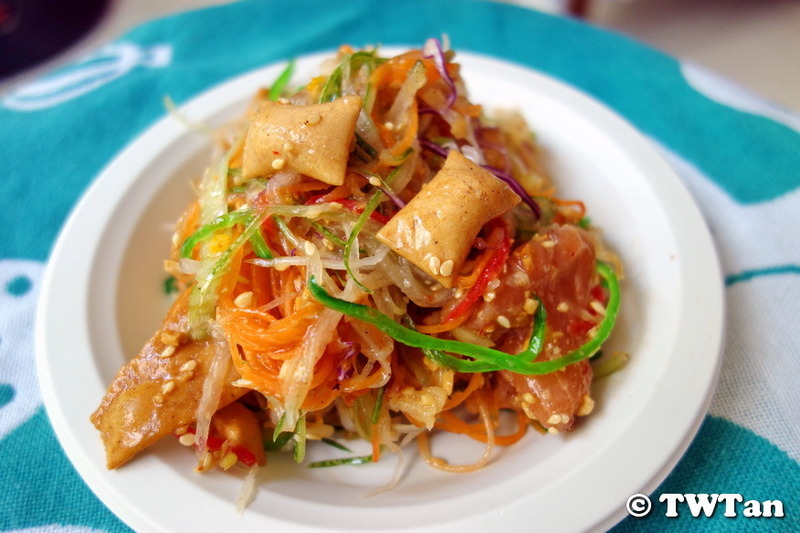 I opted to add youtiao (Chinese dough fritters) to the mixture. Timed myself to reach Country Brot by Four Leaves at the moment these freshly baked Garlic Ficelles came out hot from the oven. Passed the tray to the staff so she could help me grab four of these hot seller as they were still in the kitchen waiting for it to cool down a bit before they were brought out to the shelves. 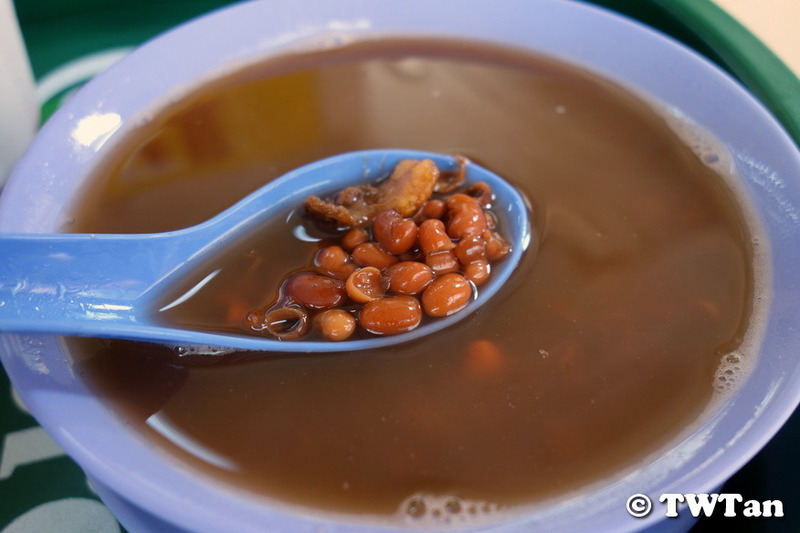 Mum craving for her Red Bean Soup which is cooked with dried tangerine peel so here we are, at a popular dessert shop in Yishun Central. 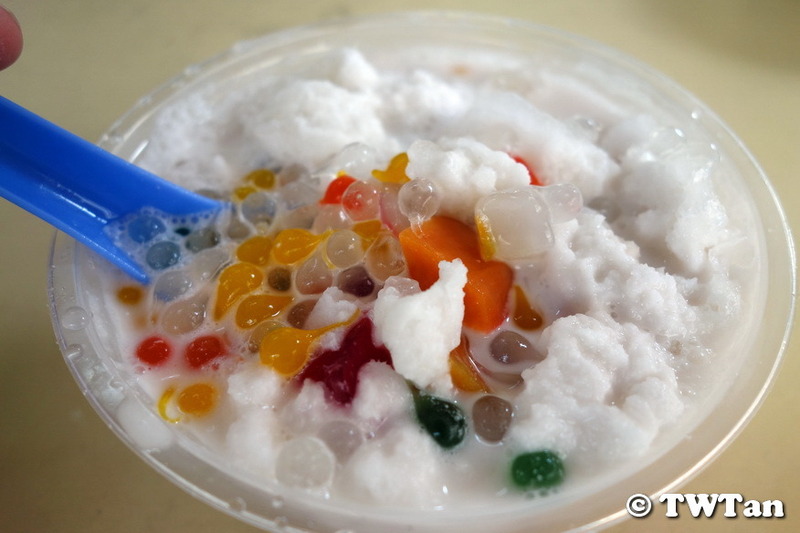 As for me, I had the Tadpole Bo Bo Cha Cha with colourful tadpole-like jellies swimming among cubes of sweet potato and yam in icy cold coconut milk. 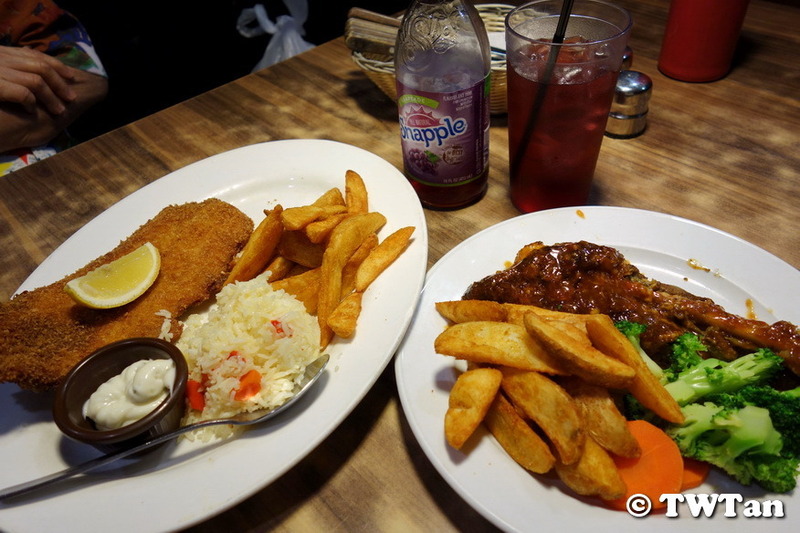 Had dinner at Astons Specialities after buying groceries. 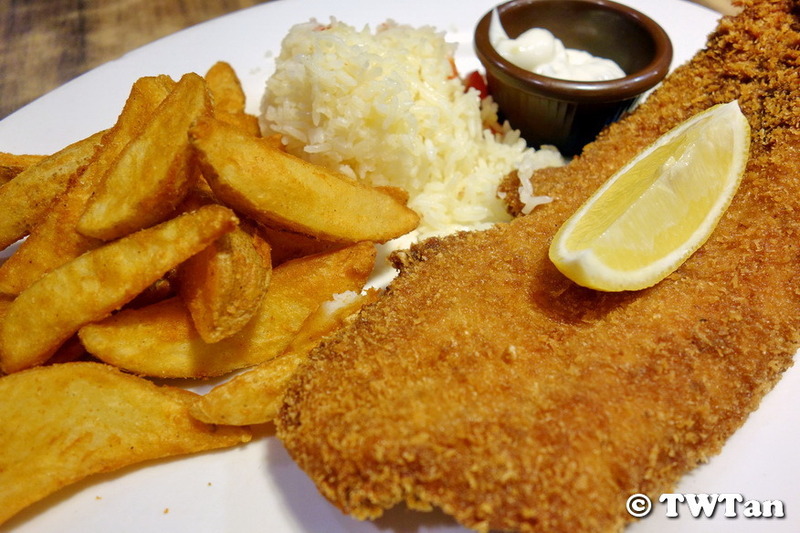 Mum went for her Crispy Fried Fish with the usual sides of potato wedges and tasty rice. 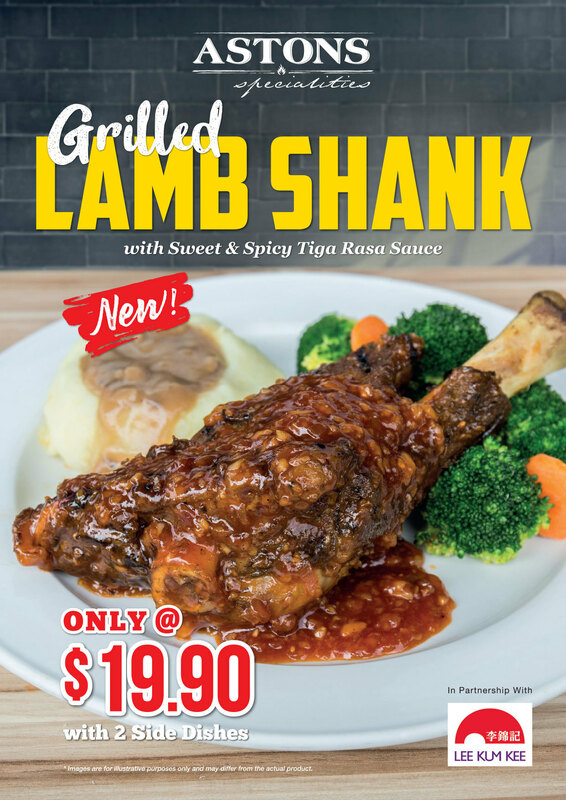 Me, I opted for their limited time menu of Grilled Lamb Shank with sweet and spicy Tiga Rasa sauce. 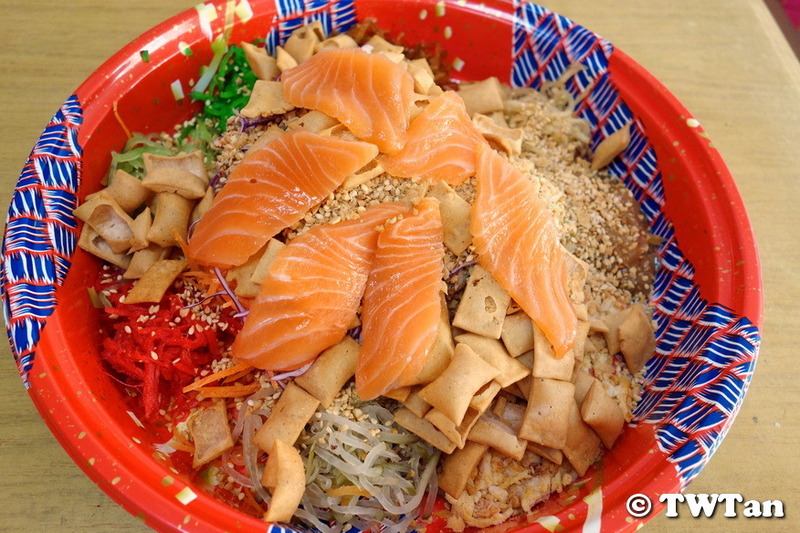 Seems like this dish is a collaboration with sauce maker Lee Kum Kee. 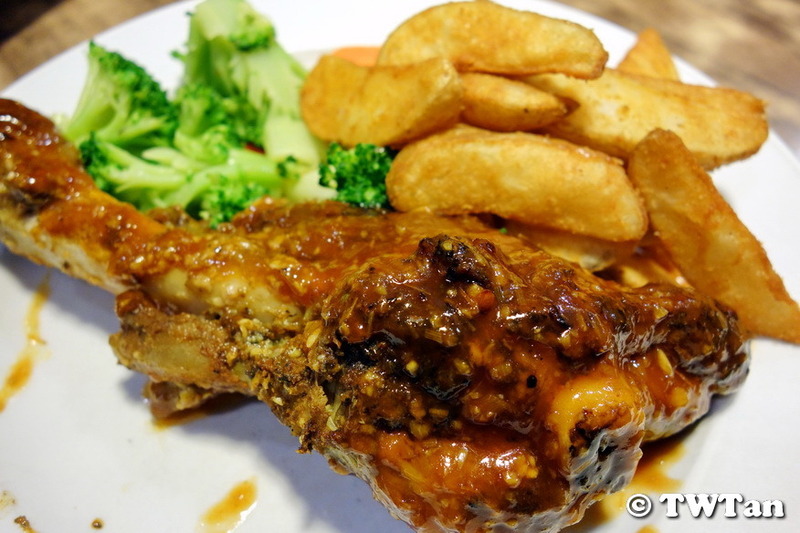 Rather than the braised lamb shank we usually get, this one add one more step to the cooking which is grilling the meat before smothering it in sauce. Meat is fork tender with a smokey hint over the tangy spicy sweet sauce. 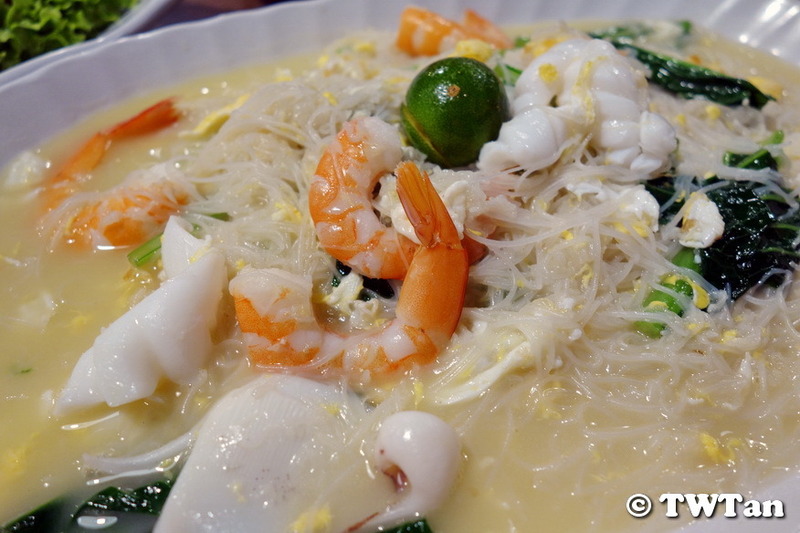 Every time I passed by during meal hours, they is always a crowd gathered at Original Sembawang White Bee Hoon (三巴旺白米粉) located at Jalan Tampang (opposite Sembawang Shopping Centre). 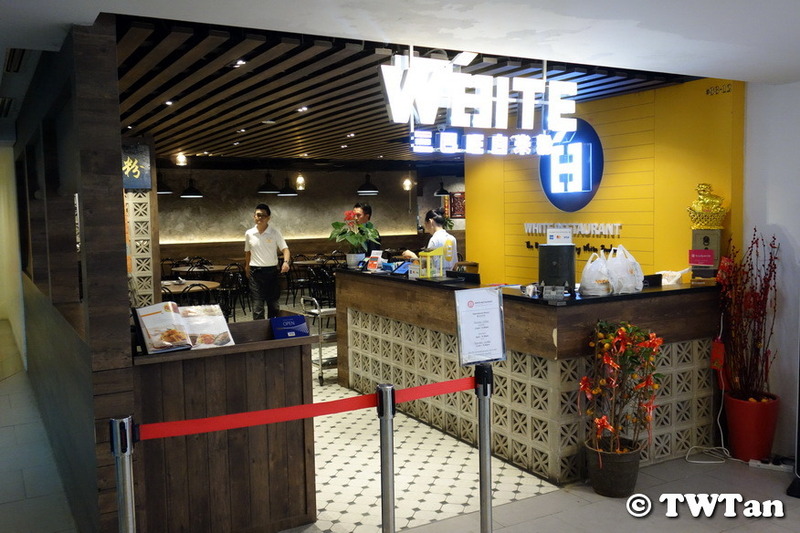 Although they had since rebranded to White Restaurant due to the many imitation contenders in the market. We visited their Sun Plaza outlet near my place due to convenience and the premise is also air-conditioned. 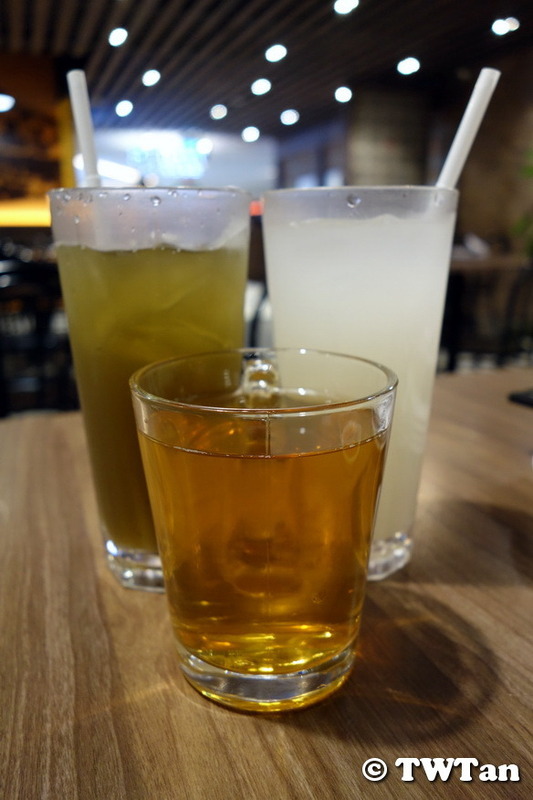 First up, our Chinese Tea,Water Chestnut and Barley drinks. 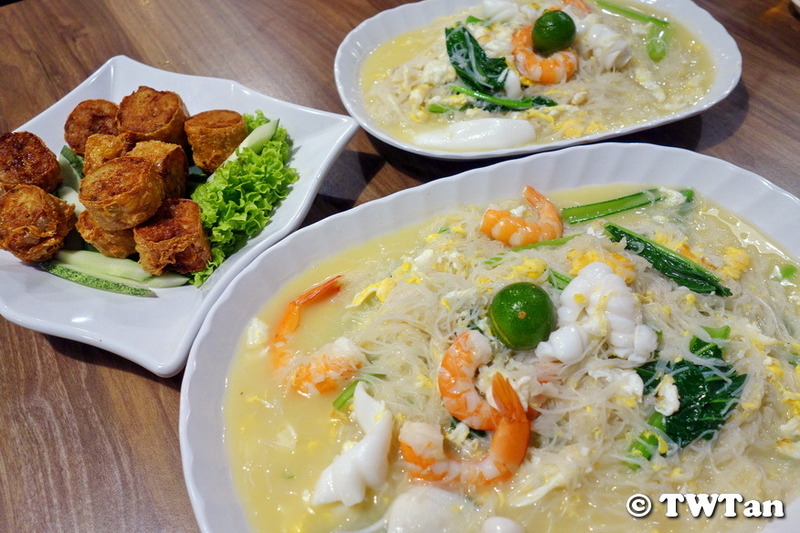 We ordered a small and medium portion of their White Bee Hoon (招牌白米粉). Mum and sis shared the bigger plate. 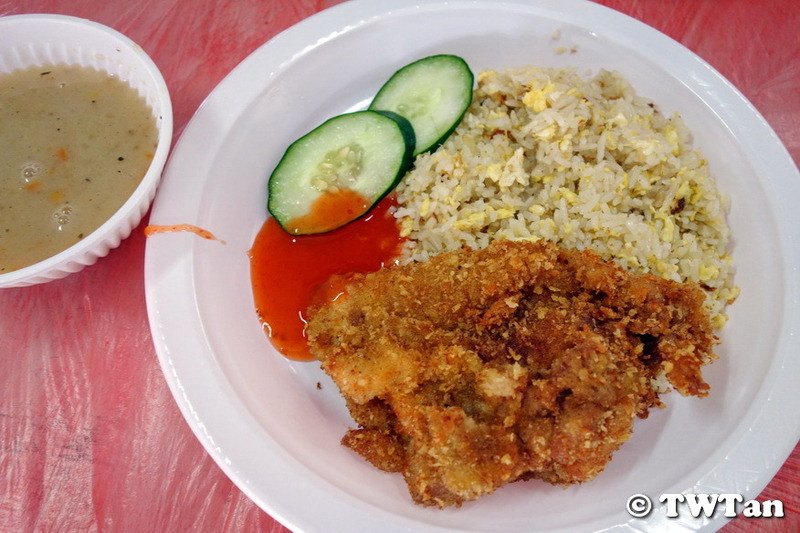 The first taste of this dish convinced me why so many people would queue for it. 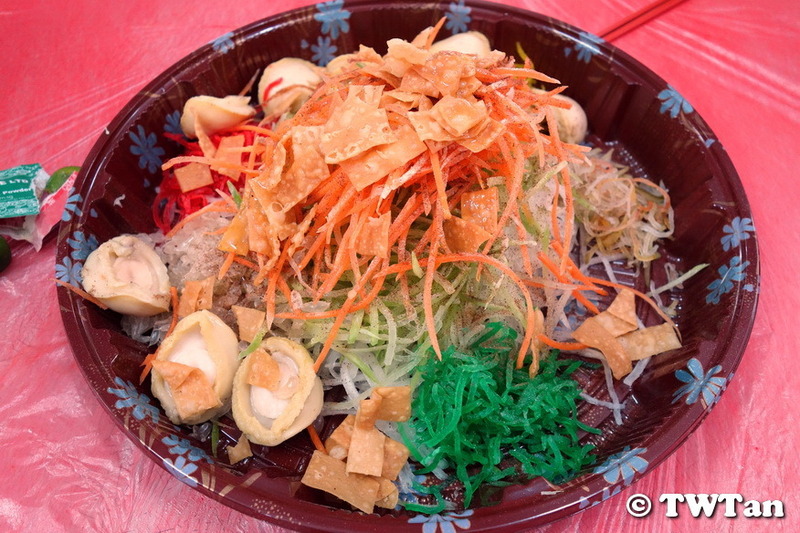 The broth used to cook the bee hoon is packed full of umami flavours and the strands of rice vermicelli soaked up all its wholesome goodness. Both the prawns and squids were fresh and succulent especially the squid which is soft and springy; signs that it hasn’t been overcooked. 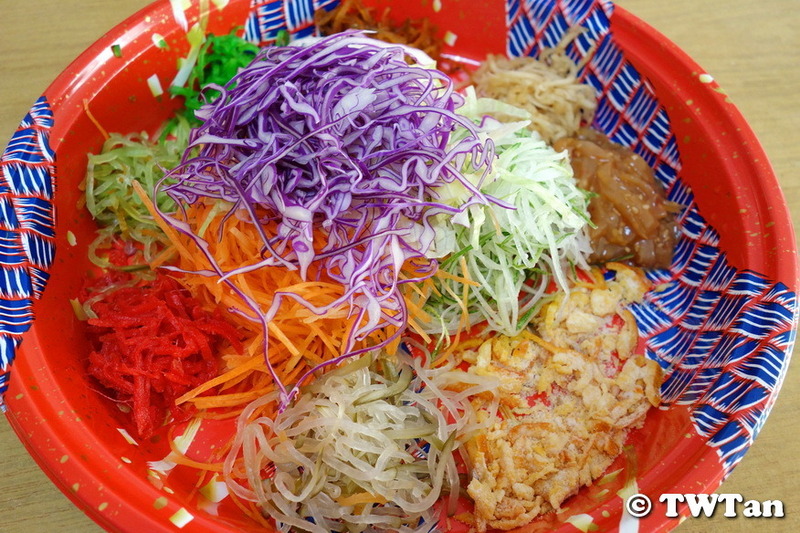 The next must order dish is their Meat & Seafood Roll (招牌虾枣) which unlike those elsewhere had finer grinded meat mixed with fish or prawn paste for a softer texture. 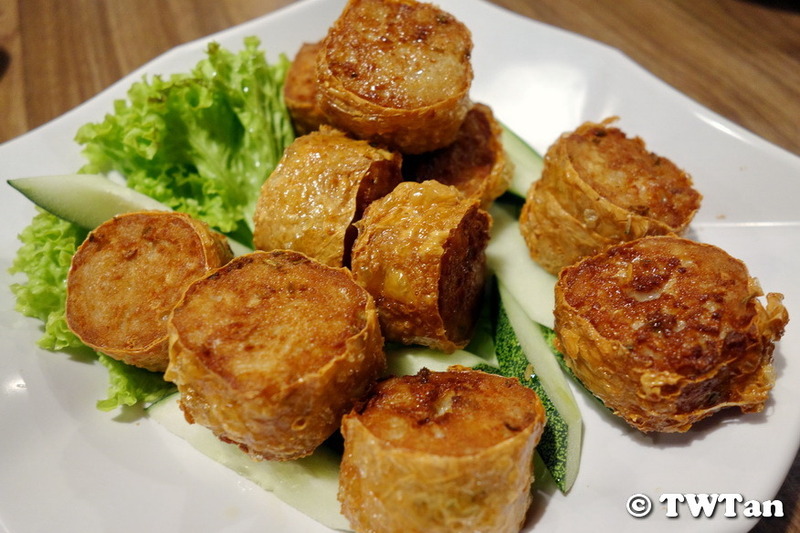 Rolled with bean curd skin and deep fried crispy, it is accompanied with a sweet chilli sauce dip. 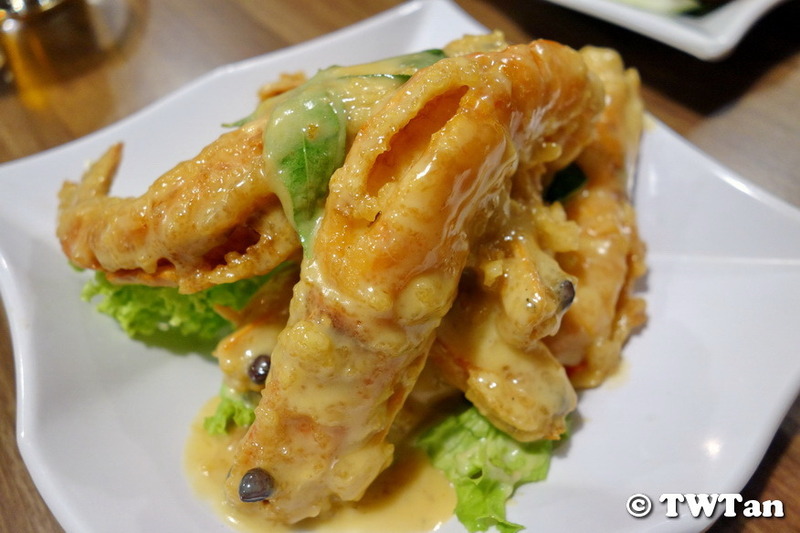 Butter Prawns (奶油虾) came on a bed of lettuce leaves and well coated in creamy buttery sauce with curry leaves clinging to the prawns. 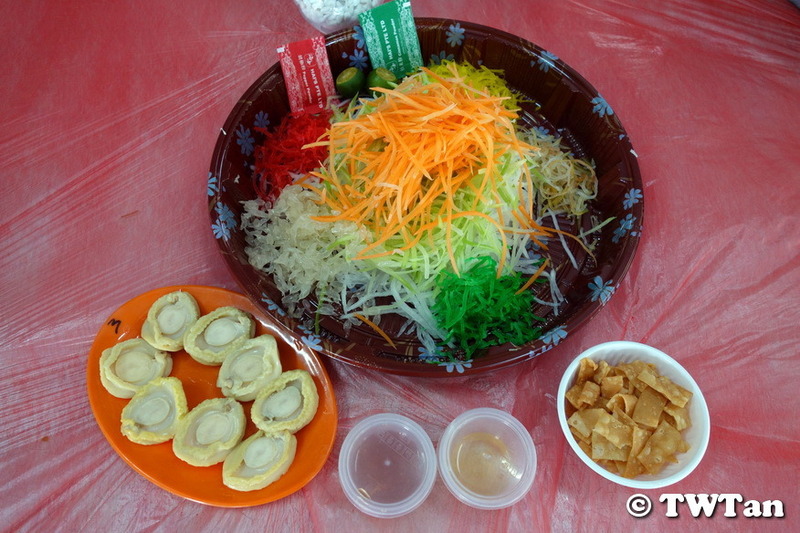 The deep fried prawns had shell crispy enough that you eat it whole without deshelling saved maybe for the heads. 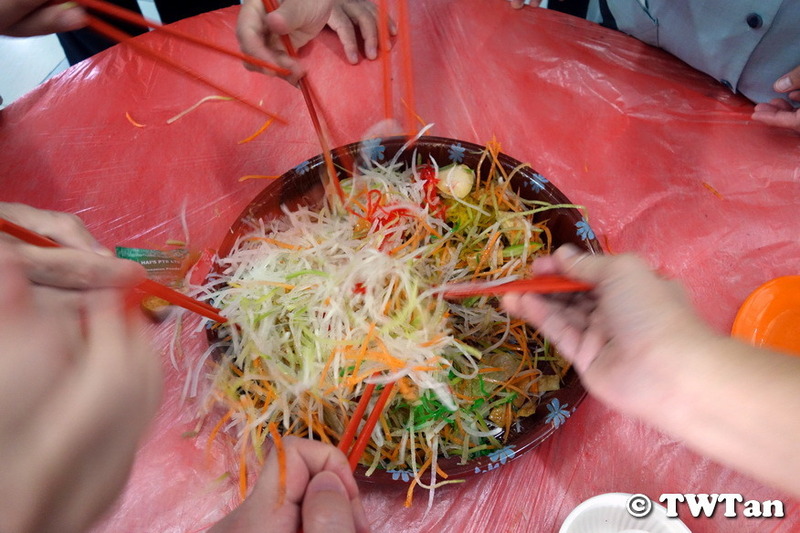 My family enjoy the well-seasoned sauce that doesn’t evoke the jelak (Malay word for “sick of eating”) feeling so much that we used the lettuce leaves to mop up the leftover sauce. 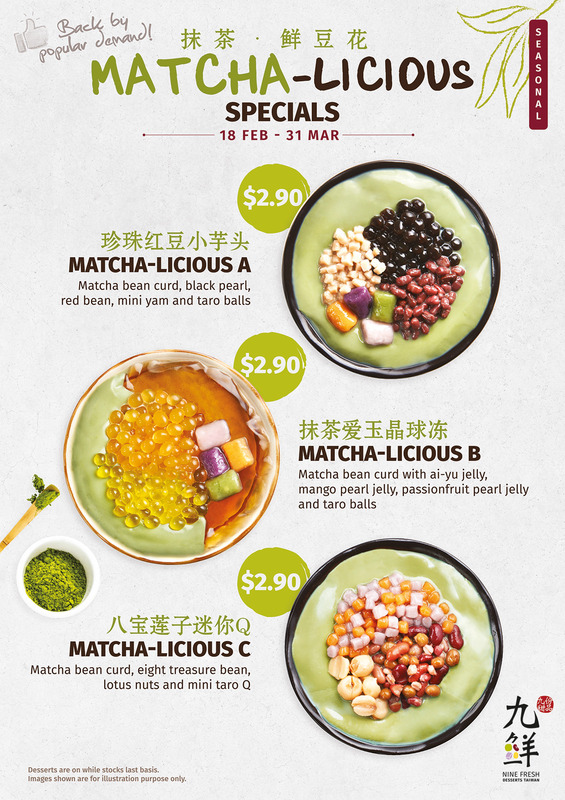 Redeemed my free Matcha-licious (抹茶爱玉晶球冻) from Nine Fresh (九鲜). 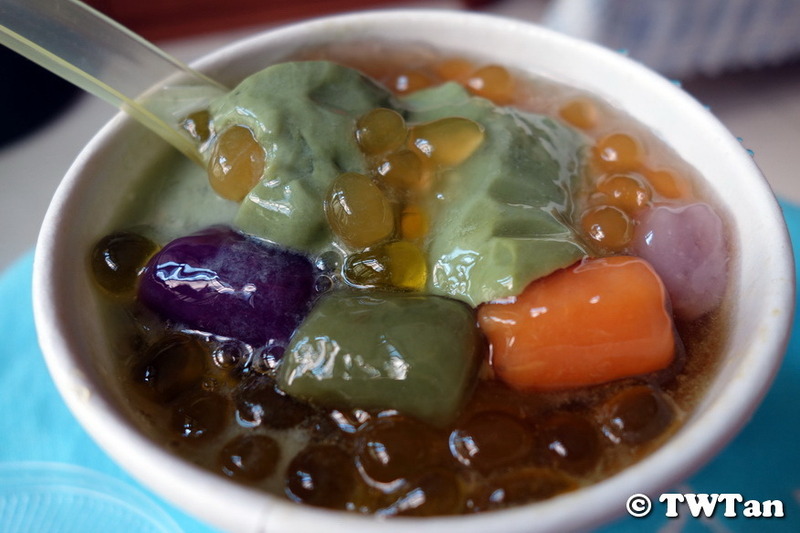 Matcha bean curd with ai-yu jelly, mango pearl, passion fruit pearl and taro balls.